FRB celebrates its 10's birthday! Today, 10 years after the creation of the FRB, the alarms of scientists and civil society actors around the collapse of biodiversity are multiplying. The decline is now affecting all regions of the world, as evidenced by recent IPBES assessments. 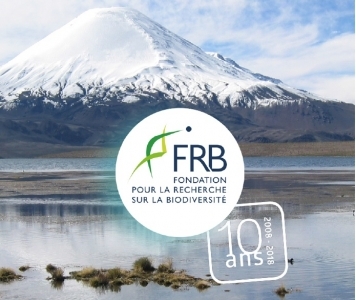 On the occasion of these 10 years, the annual day of the FRB aims to make a scientific point on the state of knowledge and lead discussions with stakeholders on the evolution of food production systems that would allow to consider a food transition that can contribute to the preservation of biodiversity and the improvement of human health. Important issues include the adaptation of human populations to rapidly changing diets, the impacts of this food transition and associated agricultural systems on biodiversity, and the collective solutions that actors and researchers can imagine for a future. sustainable development of human societies.